The Ukrainian Mission to the United Nations published on Twitter a list of countries that voted against the adoption of the resolution "The Situation with Human Rights in the Autonomous Republic of Crimea and the City of Sevastopol, Ukraine" by the UN General Assembly. 26 countries were against the adoption of the document including Armenia, Belarus, North Korea, Burundi, Cambodia, China, Eritrea, India, Iran, Myanmar, Kyrgyzstan, Nicaragua, Kazakhstan, Venezuela, Philippines, Russia, Serbia, Uganda, South Africa, Zimbabwe, Uzbekistan, Tajikistan, Syria, Sudan, Bolivia, Cuba. 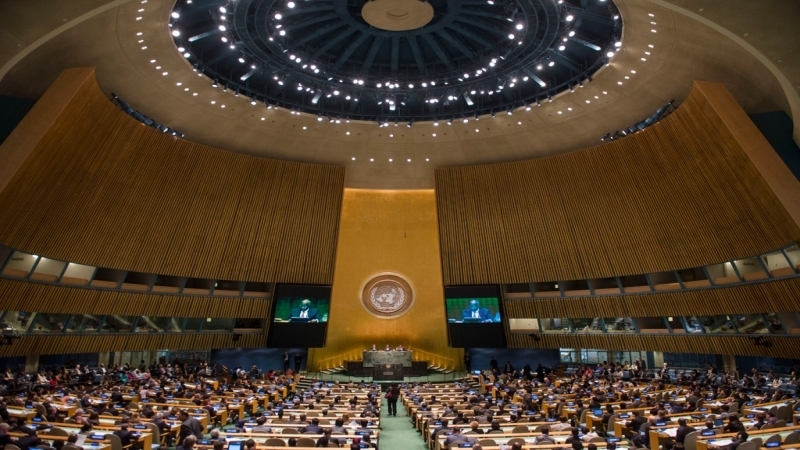 Reference: the UN General Assembly supported the resolution on the respect of human rights in the occupied Crimea. 70 countries favored the adoption of the document, 26 were against and 76 – abstained, as result of the voting. Thus, the draft resolution was adopted.